Can I add label prefix before page number with A-PDF Number Pro? Hey, I have to say A-PDF Number Pro is really easy to use. It helps me a lot to number my large file. Anyway, I want to know whether I can add label prefix before page number. 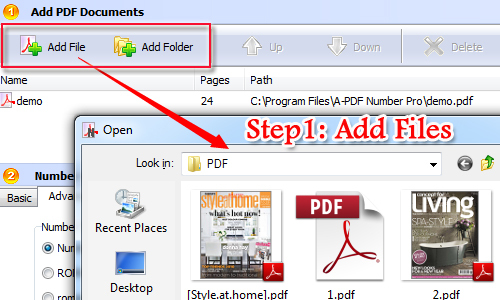 Step1: Add Files Click "Add file" icon or "Add Folder" to add PDF file or PDF folder with ease. In this section, you are able to move PDF file up and down and delete the PDF file simply. Step2: Select Add Label Then move to advanced setting for PDF file. Go to left corner and then you will see add label option. 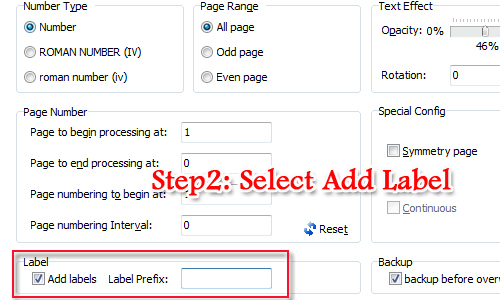 And then tick the checkbox of add label and enter the label prefix quickly. 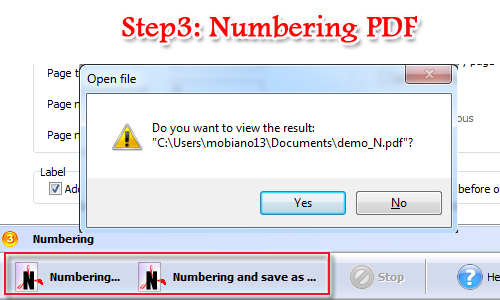 Step3: Numbering PDF Then you can prepare to number the PDF pages as long as you finish adding label settings. If you don’t want to recover your original files, do remember to select "Numbering and save as".